Researchers working in the aerospace industry, mechanical and civil engineering, and also PhD students working in this field. 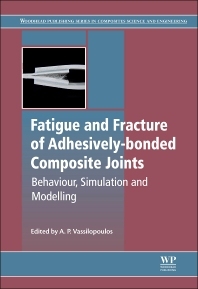 Dr Anastasios P. Vassilopoulos is a Senior Scientist (MER) in the Composite Construction Laboratory (CCLab) at the Ecole Polytechnique Fédérale de Lausanne (EPFL), Switzerland. He has an international reputation for his work on fatigue life prediction of composite materials under complex, irregular stress states.